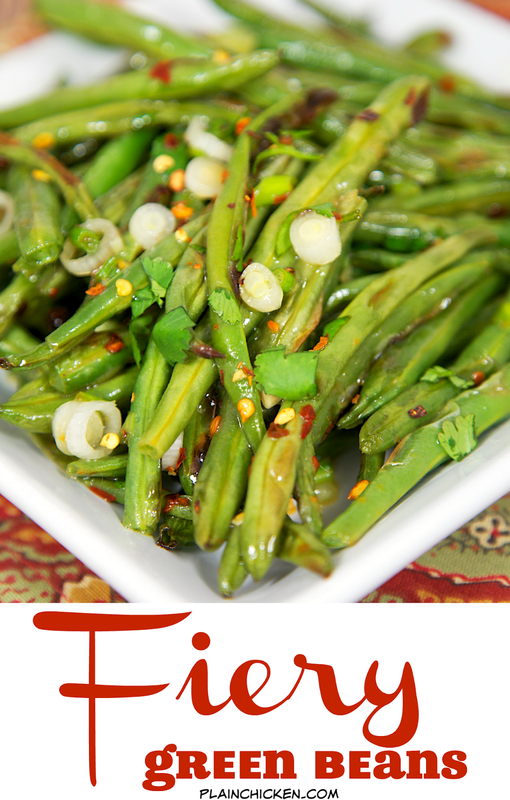 Fiery Green Beans - Ready in 15 minutes! Super easy weeknight side dish! Baked green beans tossed in lemon juice, cilantro, red pepper flakes and green onions. Tastes great warm or chilled. They actually taste better the longer they sit. SO good! Everyone gobbled these up! 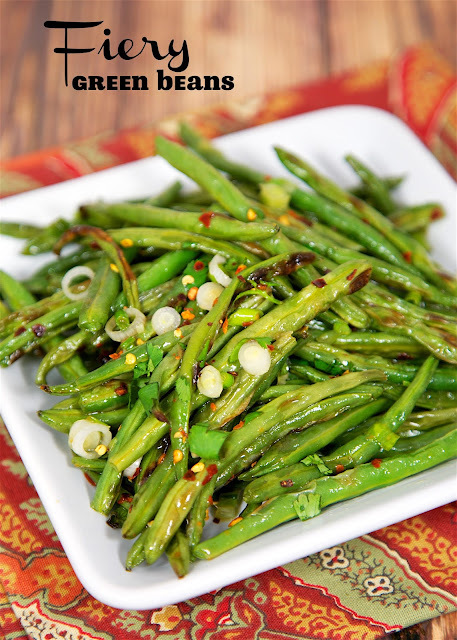 These Fiery Green Beans were a huge hit in our house! They are super easy to make. Just toss the beans in some olive oil and bake. Put them under the broiler for a few minutes and then toss in a mixture of lemon juice, red pepper flakes, cilantro and green onions. They are perfect side dish for a quick weeknight meal. 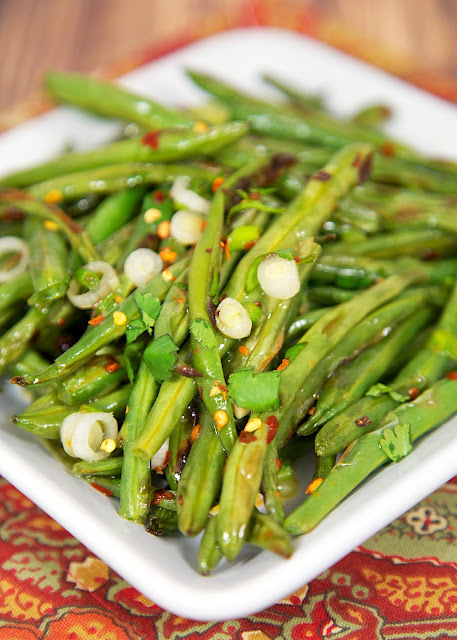 You can even make these Fiery Green Beans ahead of time. They actually get better the longer they sit. They taste great warm, room temperature or even chilled. We ate these for dinner and cold for lunch the next day. YUM! I was going to make these to go with dinner last night, but found the green beans I had purchased on Saturday had somehow gone bad overnight... I decided to try it with broccoli instead because I love roasted broccoli. AMAZING! The lemon juice and hot pepper flakes give a perfect zing to the broccoli, I can't imagine making it any other way now! Awesome!! Can't wait to try this with broccoli!